Statement delivered during the 38th Session of the Human Rights Council during the Interactive dialogue with the Special Rapporteur on the Independence of Judges and Lawyers on June, 25th 2018. Text below the video. The ECLJ, once again, respectfully draws this Council’s attention to the plight of Pastor Andrew Brunson, an innocent U.S. citizen who is wrongfully imprisoned in Turkey, and who is currently undergoing a sham trial. Pastor Brunson’s ongoing trial in Turkey began on 16 April 2018. Turkey has made it clear that this is a sham trial, and, as indicated by President Erdoğan’s multiple demands to swap Pastor Brunson for Fethullah Gülen, Pastor Brunson is undoubtedly a political prisoner being held as a bargaining chip for Turkey. On 16 April, eighteen months after his imprisonment, Pastor Brunson’s trial began. The first day lasted thirteen hours and was filled with video testimony of secret prosecution witnesses whose appearances and voices were disguised almost to the point of their testimony being indecipherable. Furthermore, absolutely no evidence was provided. On 7 May 2018 Pastor Brunson’s second day of trial lasted eleven hours, and again involved no evidence, only prosecution witness testimony. Two of the seven witnesses brought by the prosecution were secret, two more were prisoners, and none of the seven witnesses testified that they had personally seen or heard Pastor Brunson do anything that would substantiate the charges against him. Their testimony was completely hearsay and conjecture. Moreover, the lead judge has essentially refused to allow any witness to testify on Pastor Brunson’s behalf. Turkey has violated many international laws and obligations, as well as its own constitution, by arresting and detaining an innocent pastor in prison for over a year and a half based on the hearsay testimony of clearly questionable secret witnesses. Moreover, Turkey has denied Pastor Brunson the opportunity to mount an adequate defence by flippantly dismissing all defence witness testimony. 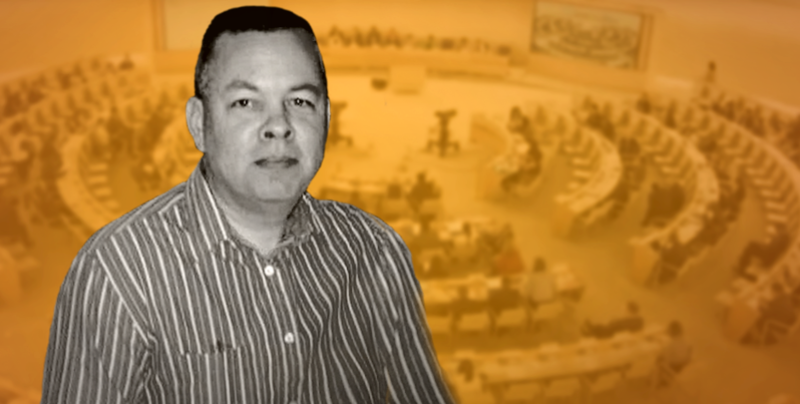 The ELCJ respectfully requests that this Council remind Turkey of its obligations and make every effort to ensure that Pastor Brunson is released and allowed to return home. Aramaic Christian Delivers Compelling Presentation on Genocide in Arabic at the U.N. Defending Christians Against Boko Haram in Nigeria at the U.N.